There are a number of things that can harm your chimney. If a bird or some other animal builds a nest in your chimney, it can dry out to become kindling for a chimney fire. Chimney fires are dangerous and can cause structural damage. The chemicals from smoke can have a corrosive effect on the mortar, causing bricks to loosen over time. Even the process of burning a hot fire in the firebox can, over time, cause the firebox to wear down. But one thing that can have the most devastating effects over time on the structure of your chimney is the one thing that it’s hardest to protect it from, and that’s precipitation. 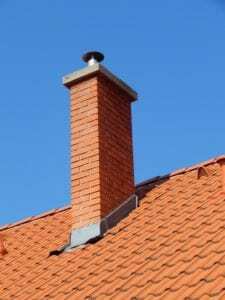 Whether it’s rain or hail in the spring, summer, and fall or sleet or snow in the winter, precipitation can really wreak havoc on the structure of the chimney itself, and especially on the mortar. Part of this is because of the freeze-thaw cycle, and part of this is simply because of the day to day weathering that occurs. This is why it is vitally important that you have your chimney waterproofed now before the heavy rainy season hits Chicago this spring. Knowing how your chimney can be harmed by precipitation is one thing, but understanding what you can do about this is what’s really important. It seems strange that an idea as simple as coating your chimney with a waterproofing solution is enough to protect it from the day to day effects of precipitation, and there really is a bit more to it than that. This is why it’s so important to hire the professionals from Jiminy Chimney Masonry and Repair to come in and make sure that the process is completed successfully. First, the solution that is used makes all the difference, and that’s why at Jiminy Chimney we use ChimneySaver water repellent. This special formula prevents precipitation from getting into the pores of your bricks and mortar while allowing any moisture that might be resting in those pores to get out. This means no expansion of those pores when the weather hits freezing. Not only do we use the best product, but we also have over thirty years of experience in inspecting, cleaning, and repairing chimneys and fireplaces. We have loved serving the great people of Chicago and the surrounding area for all these years, and we’ve worked hard to make sure that every job we do is of the highest quality and with the greatest expertise. Waterproofing your chimney is a process that will save you time and money in the future by protecting your chimney from repairs or rebuilds that can be the result of water damage from precipitation. Take care of waterproofing your chimney now, before the harsh rains of springtime hit in earnest!